Victor DiNovi has been a professional woodworker for over fifty years and has completed over 5,000 pieces of furniture within that time frame. 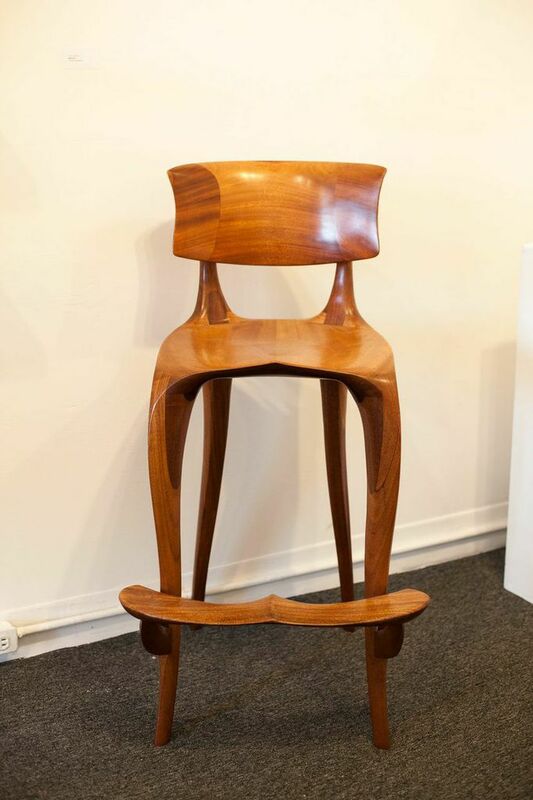 DiNovi comes from a family with a strong background in various art practices, which allowed him to become exposed to the creative medium of woodworking. After serving in the military as an engineer in Vietnam, and dabbling in woodwork while there, DiNovi moved to California in 1971 to pursue a life as a woodworker and cabinetmaker. DiNovi investigates “symbols of tradition and anti-tradition” as well as working with the handmade instead of the industrially made. He seeks to create “useful, practical objects that evoke multi-level responses.” DiNovi examines his role as an artist and businessman; he works to market his art and at the same time allow himself to work expressively, letting people accept his work as art and sculpture. His distinct functional furniture is art created by subtracting material to create the work, rather than adding material in order to assemble a sculptural form. DiNovi is practical in using power tools, especially those he has personally altered and created himself. 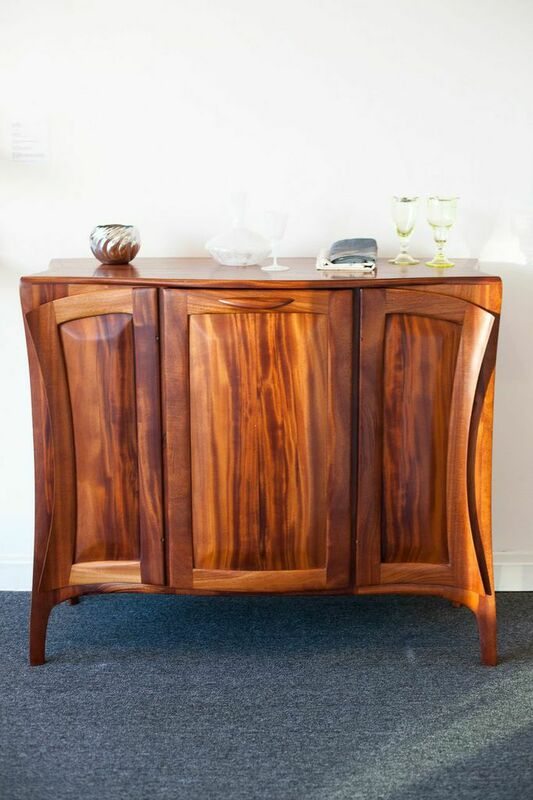 Power tools allow him to create graceful lines and curves with high-character pieces of wood. DiNovi currently lives and operates in Santa Barbara, CA. His work has been commissioned and exhibited across the United States and internationally.